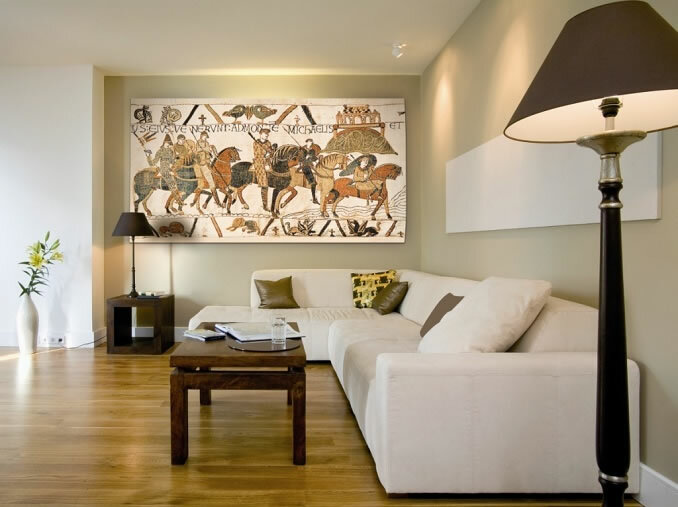 Scenes from the most famous tapestry, The Bayeux Tapestry, are found in this collection. The Bayeux tapestry was produced to commemorate the Battle of Hastings in 1066. Many pieces from museums around the world are represented here, The Hunt of the Unicorn, a series of tapestries now in the Metropolitan Museum, New York. The magnificent Ghent Marketplace and its smaller versions may be viewed here. Tapestry weaving became an important industry during the Middle Ages, with thousands of weavers working on designs which were usually commissioned by the nobility or royalty. Tapestries were obviously used for decoration but also for excluding draughts in buildings before the widespread use of glass in windows, and to absorb noise. 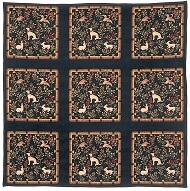 Norman and Medieval tapestries and designs are available for purchase at Classic Tapestries. Not all are available for viewing on the website. We welcome enquiries. Please contact us for further designs. 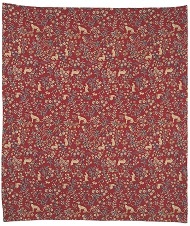 Tapestry fabric can be purchased by the metre. It is suitable for use on upholstery, chairs, footstools, custom made cushions etc. It is high weave and high wearing. Tapestry fabric is loom woven using the finest materials in Europe.